We’ve all heard the old saying, “You are what you eat.” And that certainly is true. But there’s even more to that picture. Avoiding the following poor lifestyle choices can help you live a healthier and more beautiful tomorrow…and for many tomorrows to come. If you think that sugary treats are no big deal, think again. Research into how sugar affects the body at the cellular level has found that it is harmful. Through a process called glycation, sugar molecules in the blood attach themselves to our body’s proteins and produce advanced glycation end products, or AGEs. Although the process has not been proven to directly affect a person’s skin (only Petri dish testing has been done so far), the results are worrisome. AGEs do compromise existing collagen, a protein that makes your skin supple. Unfortunately, it appears as if these harmful end products can also affect the quality and type of new collagen that our body produces. It is thought that inhibition of healthy collagen production can put the skin at greater risk for fine lines and wrinkles…and this happens to young and old people alike. Please, for the sake of your overall health and appearance, stay away from refined sugar. That’s the smartest and safest choice. Time Health reported on a study published in Preventive Medicine that found that exercise makes us look younger. They looked at about 6,000 adults for this study, which was conducted by the Centers for Disease Control and Prevention. Those who exercised the most had “biological aging markers” (DNA telomeres) that were about 9 years younger looking than their non-exercising counterparts. Exercise is good for the body from the inside out, at the cellular level; it keeps body mass in check, boosts energy, and can help you look younger than everyone else your age. As of this writing, vaping has not been thoroughly studied in long-term clinical trials to determine what risks and side effects can affect those who use these products. If you want skin that looks its best, do not use nicotine products. James Christian Cosmetics has been providing injectables for cosmetic enhancement for over a decade to hundreds of clients in New York. When lifestyle habits have caused wrinkles, creases, volume loss, and fine lines, injectables can help. The first step is to make healthy lifestyle changes so that you can be your best at every age. The second step is to give James a call at (917) 860-3113. 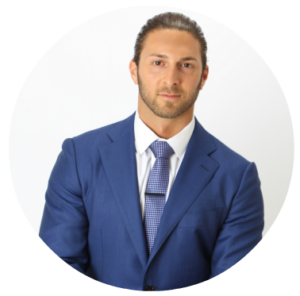 James Christian Sardelli, RPA-C provides expert technique in injectables in Commack, Manhattan, West Sayville, Babylon Village, Westhampton Beach, Rockville Centre, Farmingdale, Suffolk County, and Nassau County. *Botox is a registered trademark of Allergan, Inc. Always check with your doctor before starting any diet or exercise program. This information is not to be used as medical advice; consult your doctor for all medical concerns.